Government on Saturday deregulated diesel prices, a move that will result in a price cut of Rs 3.37 a litre with effect from midnight on Saturday. Finance Minister Arun Jaitely said the Cabinet in its meeting today decided to deregulate or free diesel prices. Retail rates will now reflect international movement in oil prices. As a result, rates will be cut by Rs 3.37 a litre with effect from midnight tonight. 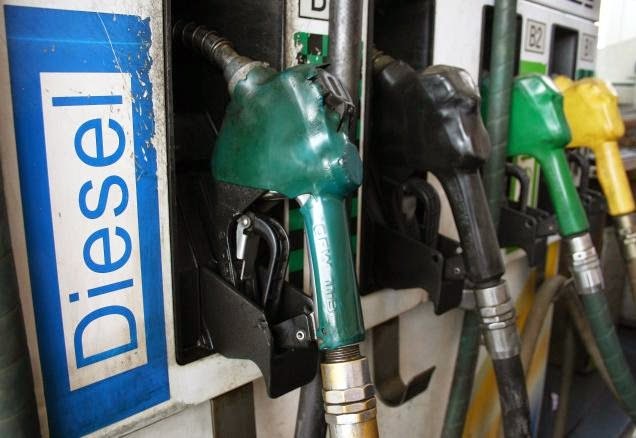 This is the first reduction in diesel rates in over five years. Diesel rates were last cut on January 29, 2009 when they were reduced by Rs 2 a litre to Rs 30.86. Diesel prices were last raised by 50 paisa on September 1 and cumulatively risen by Rs 11.81 per litre in 19 instalments since January 2013. There couldn't have been more opportune time for the decision. Oil prices are near a four-year low and two major state elections are out of the way. Reserve Bank Governor Raghuram Rajan has recently called on the government to "seize this moment", while inflation is the lowest in five years and refiners are selling at a profit for the first time ever. Brent crude has fallen 25 per cent this year to around USD 83 per barrel and expectation is that it may not cross USD 100 barrel anytime soon. The process was set in motion by the previous UPA government when it eliminated controls on petrol prices in 2010 and in January last year decided to raise diesel prices by up to 50 paisa a litre every month.